When these vertebrae are out of place, it has an overall effect from the muscular to the central nervous system. Without proper alignment and flow of all nerves and systems in the body from the brain, we can't function at our peak. 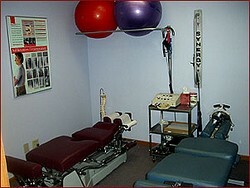 Overall, adjustments are an excellent way to keep the body functioning at its highest level. When the body is in alignment, the body is able to respond and perform as it was intended.